Soccer Star Coaching ONLINE SHOP NOW OPEN!! - Football training for children, football coaching for kids, kids football skills. Soccer Star Coaching.Football training for children, football coaching for kids, kids football skills. Soccer Star Coaching. ** NO FOOTBALL TODAY – FRIDAY 2nd MARCH ** DARREN CARTER – Video Former Player Signs WBA Scholarship! Soccer Star Coaching ONLINE SHOP NOW OPEN!! 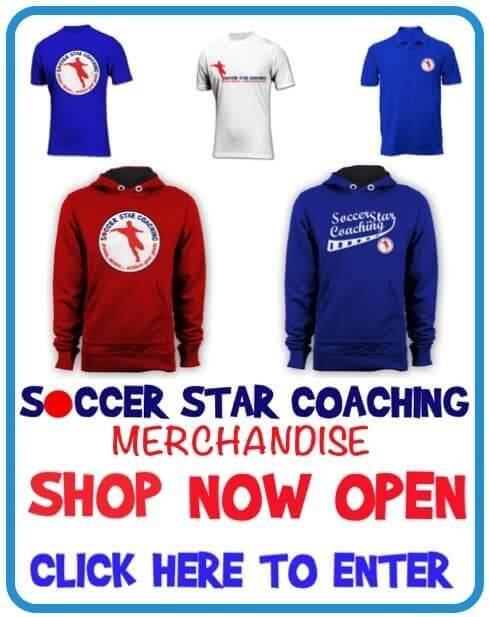 We have now opened our NEW ONLINE SHOP where you can buy Soccer Star Coaching merchandise like hoodies, T-shirts and polo shirts. There will also be Tracksuits, Training kit and warterproofs coming soon so keep a look out for these too. All of our merchandise are sold at affordable prices and we look forward to seeing you in them soon.